Muddy Boots is a fun and casual group sponsored by New Villagers, but open to all Villagers. Each month we undertake an easy-to-moderate hike generally 3-5 miles in length. We hike all around Eastern Tennessee including the Smoky Mountains, the Cumberland Plateau, the Cherokee National Forest, the East Lakeshore trails and state parks. Hikes are held the second Monday of each month (rain date is the third Monday). We meet at Chota Center (across from the Marathon Gas station) to carpool to the hike. We meet at 8:00 a.m. except in December-February, when we meet at 9:00 a.m. Membership is free, there is no sign up, just show up and have fun hiking! Volunteer to Lead a Hike. It's Easy! Each hike is led by a volunteer who pre-hikes the trail and confirms directions, trail description and lunch plans. For details on leading a hike, click here. Got questions? We've got the answers! See the Muddy Boots FAQs. 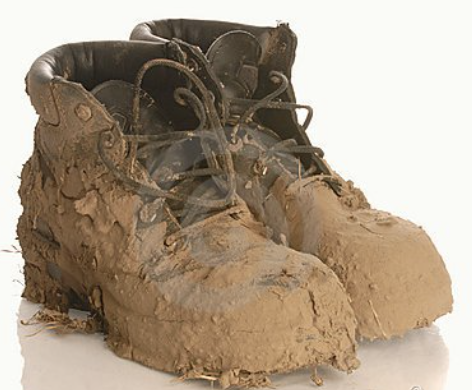 Muddy Boots hikes are generally 3-5 miles and rated as easy to moderate. See the description below for how trails are typically rated. You should be capable of sustained walking, sometimes over uneven terrain, some up and down inclines and hills. If you can walk a couple of hours and climb a flight of stairs, you can do it! Sturdy, comfortable shoes are a must. Hiking boots or trail shoes are recommended. Hiking or trekking poles are helpful to ensure footing and balance. Bring water and a trail snack, along with identification, medical and emergency information just in case. Easy– Less than five miles and 500 feet elevation gain with good trail conditions. There may be some up and down inclines. Moderate – Exceeds easy hike limits. Trail conditions may be narrow, wet, rocky and contain roots. Be prepared to walk up and down inclines. Difficult – Exceeds moderate hike limits and may include more difficult trail conditions. Difficult trails frequently involve longer distances and greater changes in elevation. Muddy Boots does not generally hike difficult trails.